For many in the health and care sector, Mike Corbett needs no introduction. To exhibitors at the leading care sector shows around the country, namely Health Plus Care in London and Care Show in Birmingham, he is the friendly voice at the end of the phone and the friendly face on event day itself, that ensures everything goes like clockwork. As part of the CloserStill Media business, his official title is Show Manager, but he should really be called The Patron Saint of Health and Social Care Exhibitions. He kindly found time in his extremely busy schedule leading up to Care Show 2018 on 17th and 18th October at NEC Birmingham, to answer our nosey questions. This is part 1 of the interview – the 2nd part will appear early next week, just in time for Care Show 2018’s launch. Read on for Mike’s exclusive, expert insights into making the most of shows, whether that’s as an exhibitor or visitor. 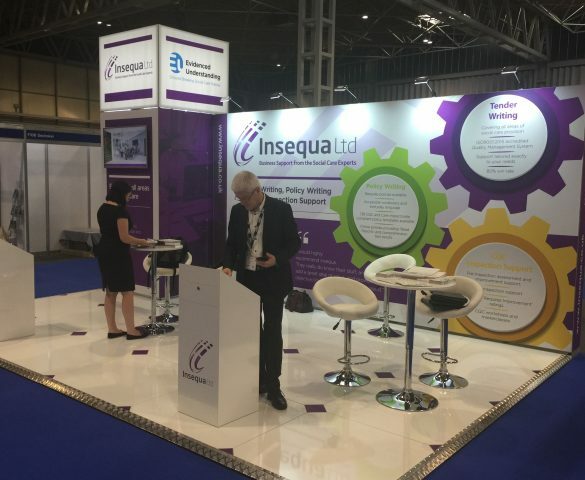 Insequa: What advice would you give to people who are considering exhibiting at Care Show or Health+Care, but still aren’t quite sure? MC: Events offer you a chance to meet with your buyers face to face and really engage with them, unlike any other form of marketing. It’s the perfect platform to let your prospective clients, touch, see, hear, smell and even taste products. The problem of getting past the gate keeper doesn’t exist as we bring the key decision makers to you. With a printed or digital advert, you can’t gauge their initial response or even get the chance to ask them sales leading questions. 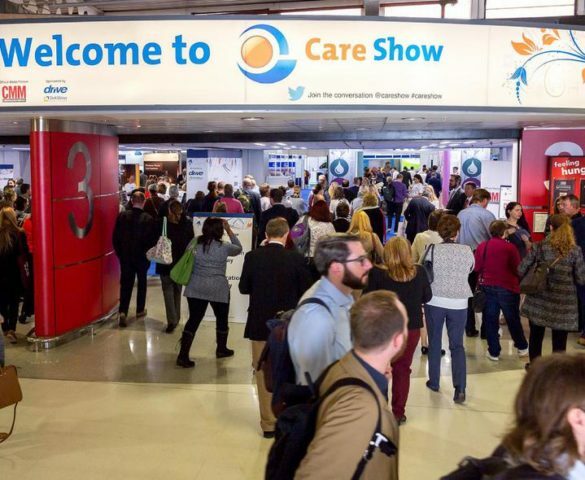 The Care Show will give your team more opportunities than any other medium to secure sales. It is important to keep up to date with what is happening in the sector. With 60 seminars and over 230 industry leading companies, it is a great opportunity to see what developments are taking place and see industry trends which may help with your marketing strategies. It is always important to have an objective when attending any event and we always try to ask “What is your goal by being at The Care Show or Health+Care? What are you looking to achieve?” We would also HUGELY advise exhibitors to follow up with everyone you meet at the show within 2 weeks. This may seem obvious, but there are so many companies who leave it for longer or don’t even call them back. This is always a must! Insequa: Have you noticed any trends recently in the types of exhibitors and visitors you are attracting? MC: The care sector is booming (if you don’t listen to national press). We have seen a rise in all product and service areas for care homes and home care providers. Our pre-show registered visitor numbers have doubled from two years ago and that is a huge positive from the sector as they are looking at being proactive rather than reactive. The show focuses on 6 different areas to help match with different trends. 1 – Design & Build – which looks at the future growth of the care sector including funding, working with investors, effective procurement strategies, design and construction ideas. 2 – Business – Brimming with practical advice and ideas to cover key business functions such as finance, customer service, marketing and HR. 3 – Excellence in Care – Hear success stories from some of the UK’s most innovative care homes and homecare providers who have used personalised care programmes, successful integration with GPs and the rest of the primary care landscape to create outstanding care services. 4 – People – Help navigate your way around key areas such as, recruitment and retention of staff, training and up-skilling, Brexit-impact and managing agencies. 5 – Regulatory & Compliance – Practical opportunities that will help you navigate your way through successful CQC inspections, safeguarding and health & safety regulation. 6 – Dementia – Everything from sensory, to technology, this stream is where innovation and inspiration meets to equip you with the tools to provide the very best in dementia care. In addition to the educational trends above, digital technology continues to be on the increase. Everything from VR and robotics to lone worker security has seen a growing interest and we are hearing technology is starting to be more embraced within the care community, which has been a tough resistance to break down, so this is leading to exciting times. Insequa: In the digital age, how important is it for people in the care sector to be able to meet up in person at shows like this? MC: It’s very important. Shows offer an opportunity to enhance your digital experience and offer you opportunities you cannot get behind a laptop, tablet etc. I remember my first experience of a trade event 12 years ago, when someone said Google and the internet will wipe out the need for trade shows, yet they are booming and the care sector is no different. Visiting care homes and speaking with home care providers, you realise just how time-poor they are. Going online and typing to find the one product or service you NEED, doesn’t allow you the real chance to experience other opportunities that you may WANT. If you don’t exist on the 1stpage of Google, or any search engine, you could argue you don’t have a chance of attracting business. That isn’t the same in a trade show, people will walk all the gangways, they do browse and look at new products and services, which increases the chance for new partnerships. The power of face to face meetings and introductions build trust. It reinforces a reality that the person you are dealing with is real and can be relied upon. In the care sector, we are an industry where the “people” are the most important factor of any business, and that’s why the Care Show and Health+Care help so many companies find new opportunities. 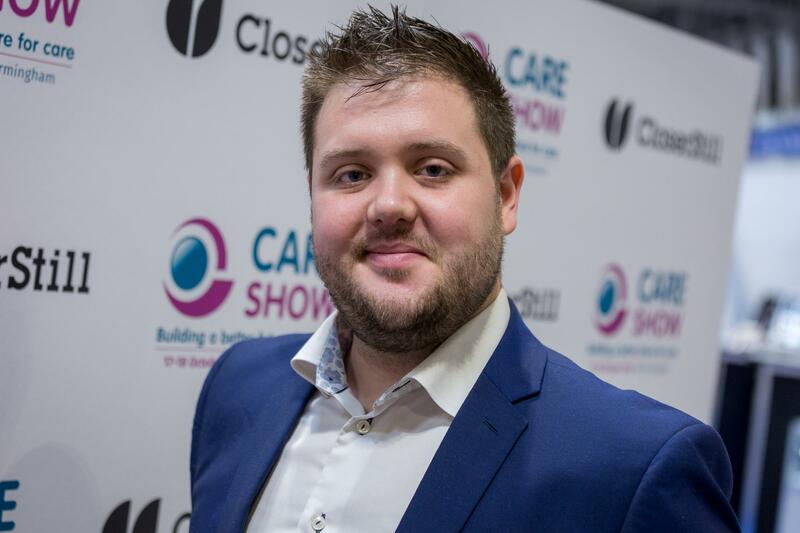 Be sure to check back next week for the second part of this interview, where Mike will be discussing what makes Care Show and Health Plus Care different from other trade shows. We’ll also learn what keeps him awake at night in the run up to a show, and who his dream speaker would be. All very interesting stuff. If this has whet your appetite and you would like to attend Care Show at the NEC in Birmingham next week (17th and 18th October) you can register for a FREE complimentary pass here. 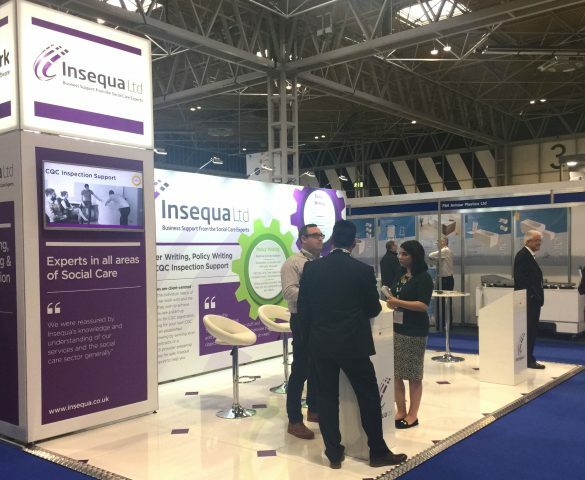 Please come and say hi to the Insequa team on Stand H12 – we’d be delighted to talk you through our extensive range of support services for care providers, including tender writing, CQC Inspection Support, social care policies and compliance software.